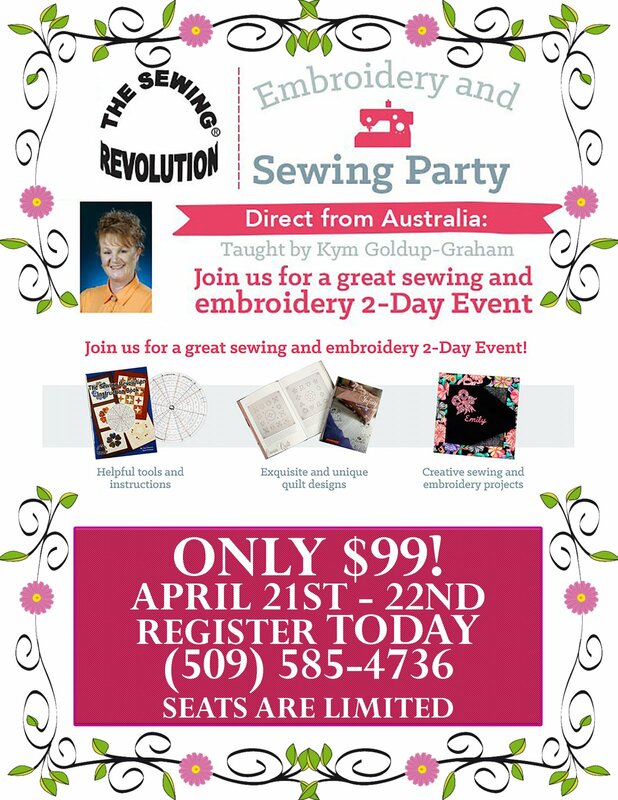 The Sewing Revolution Embroidery and Sewing Party! You've just entered a world where arcs and circle centers magically appear, where shapes almost draw themselves and where embroidery design placement is perfect every time. Come join us for these two fun filled days with Kym all the way from Australia! Have a great time and learn amazing new techniques!.